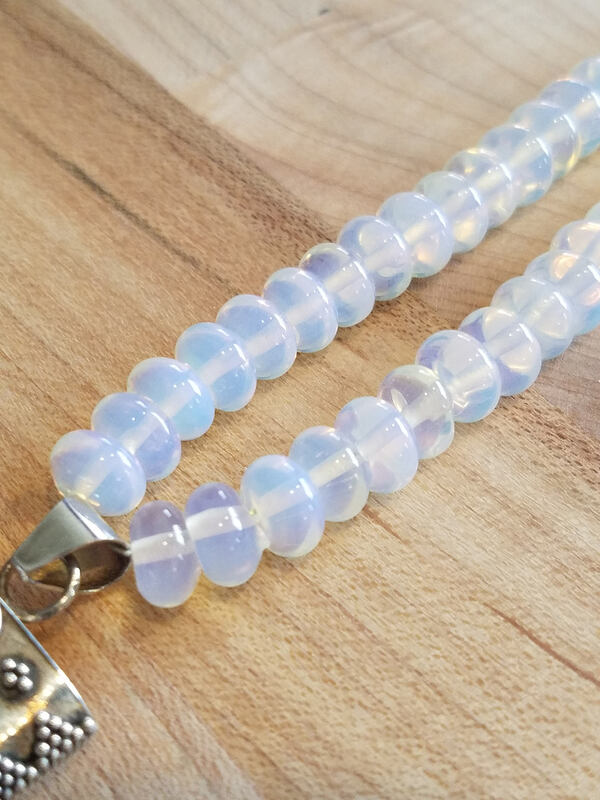 Opalite 20 inch beaded necklace. 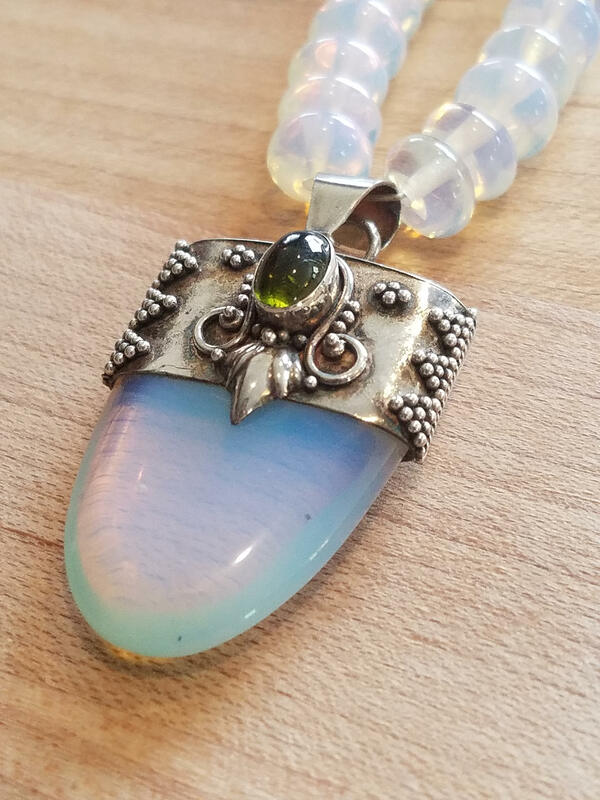 With Sterling Silver opalite pendant . 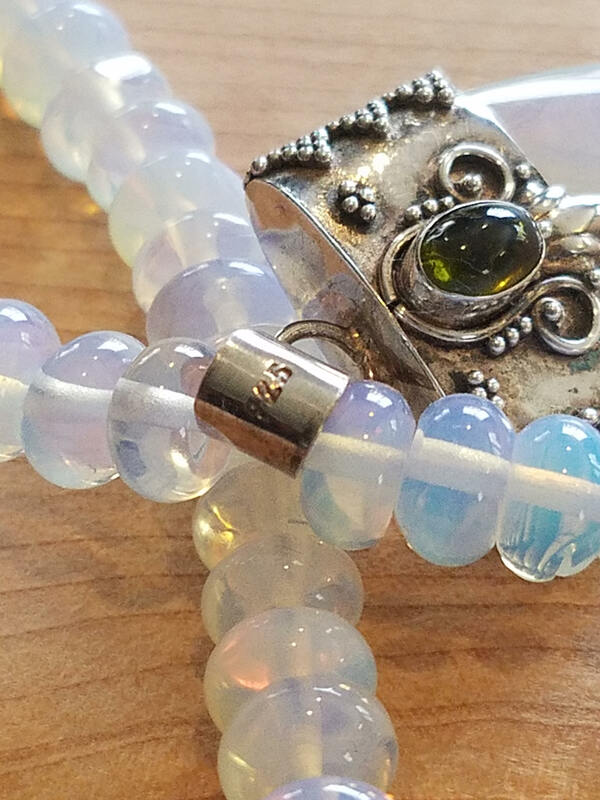 Opalite beads and opalite stone with Sterling Silver clasp . 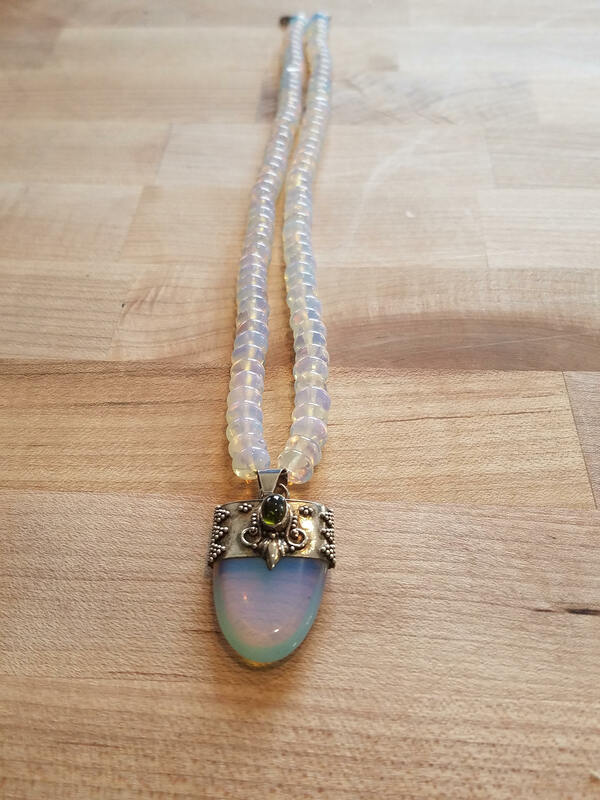 Gorgeous opalite pendant that is 1 1/4 inch long and almost inch wide.